I am so excited to be back and what better way to celebrate my return than with a series. 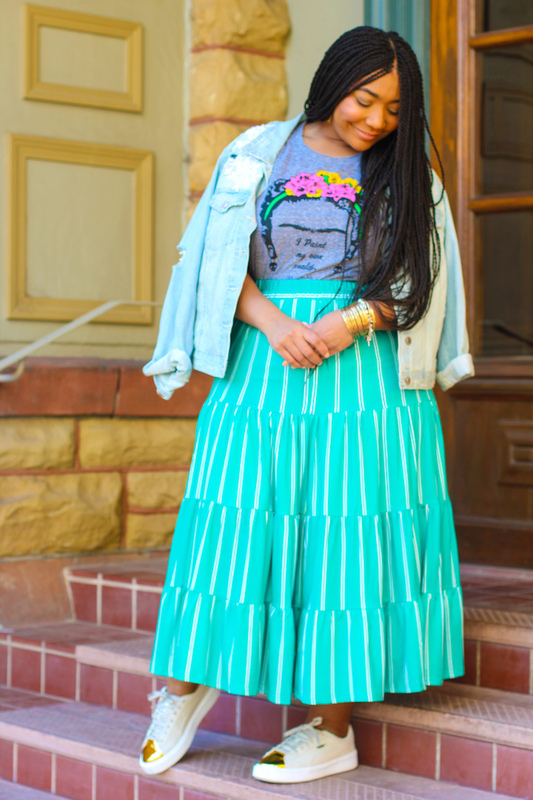 The “Springing into Print” series will feature printed trendy skirts that are perfect for Spring. All of these skirts are affordable so jump on it ladies! This week we are diving into stripes!!! I think stripes are my next favorite right after leopard. 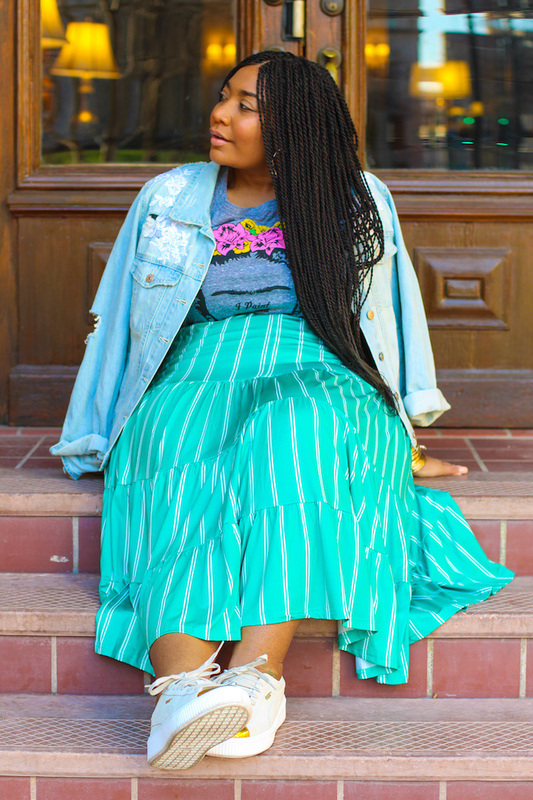 Stripes are like a neutral in my book, you can literally dress stripes up or down. 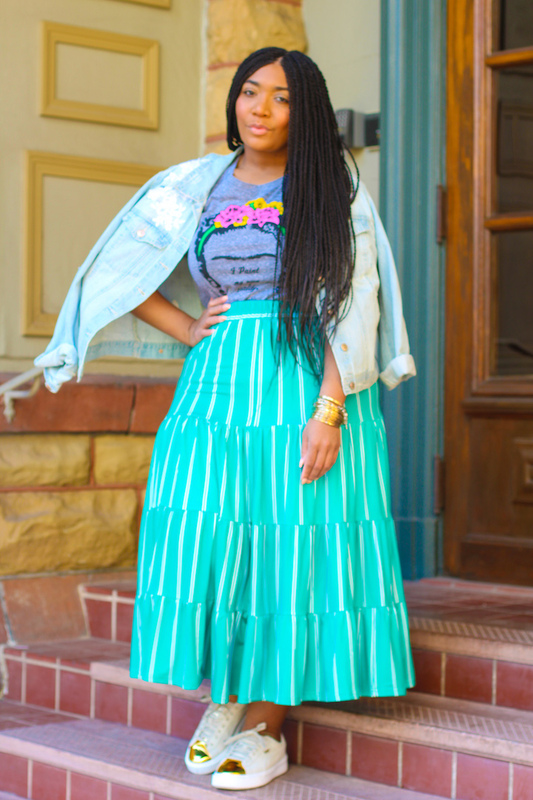 With this stripe skirt I am totally dressing it down. 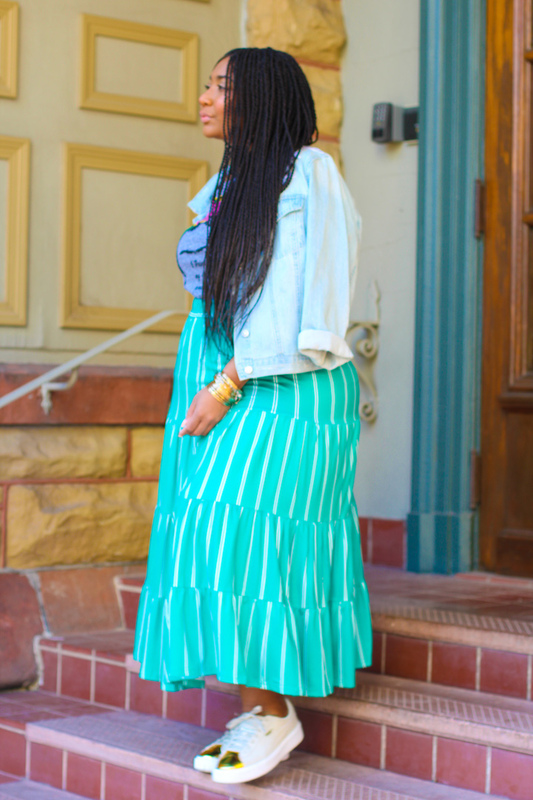 At first I was trying to figure out which pair of block heels would go well with this stripe skirt but then I thought about wearing sneakers! I have a few pair of sneakers and these are near and dear to my heart. 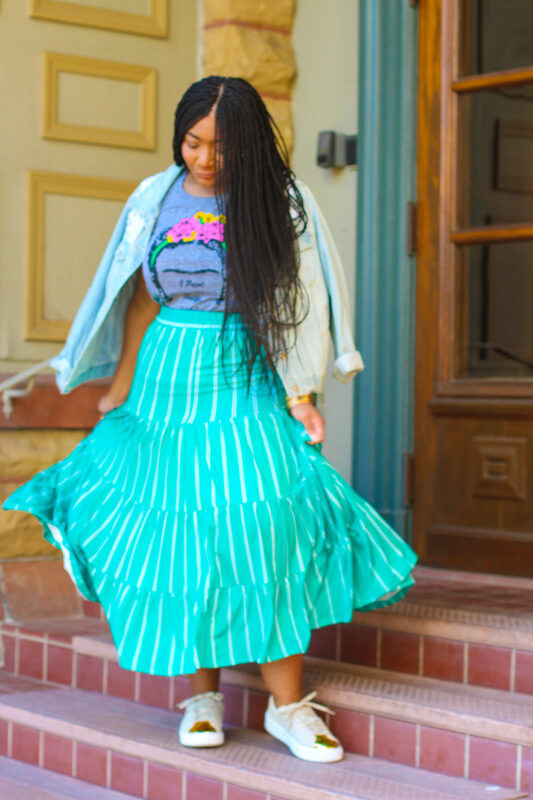 Making this stripe skirt casual was a great idea and find a super cute graphic tee with a hint of green kind of tied it all together. 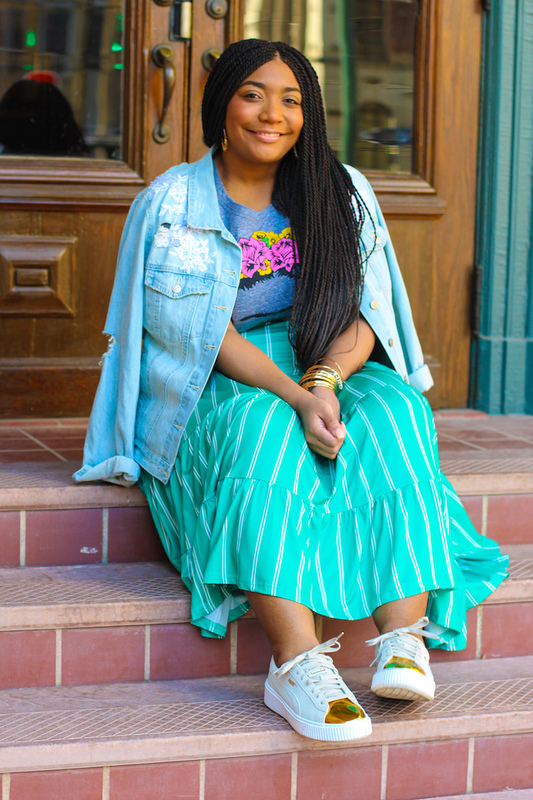 Lastly, my denim jacket was perfect for completing my outfit. This denim jacket was customized by adding lace appliques. 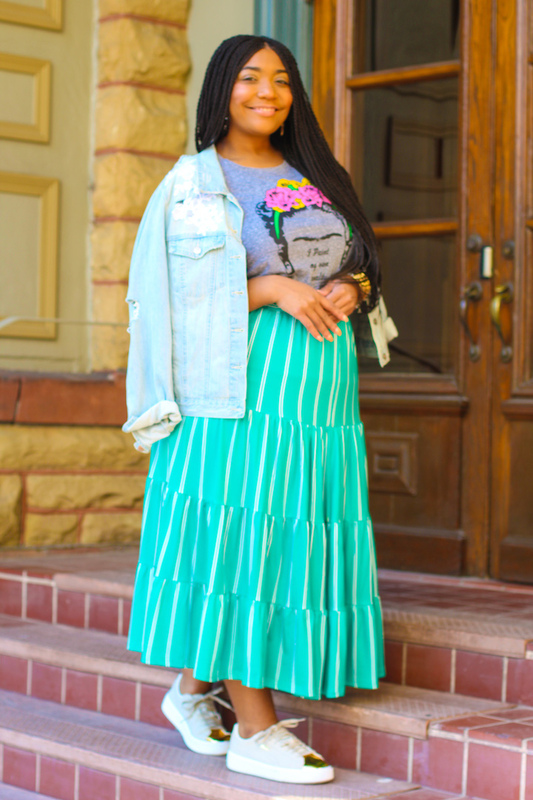 Style Notes: I am wearing a 2x in my stripe skirt. This skirt is a little big in the waist but perfect in the hips. My graphic tee is true to size in a 0. My denim jacket is true to size in a 1x. My sneakers are super comfy in a 10.